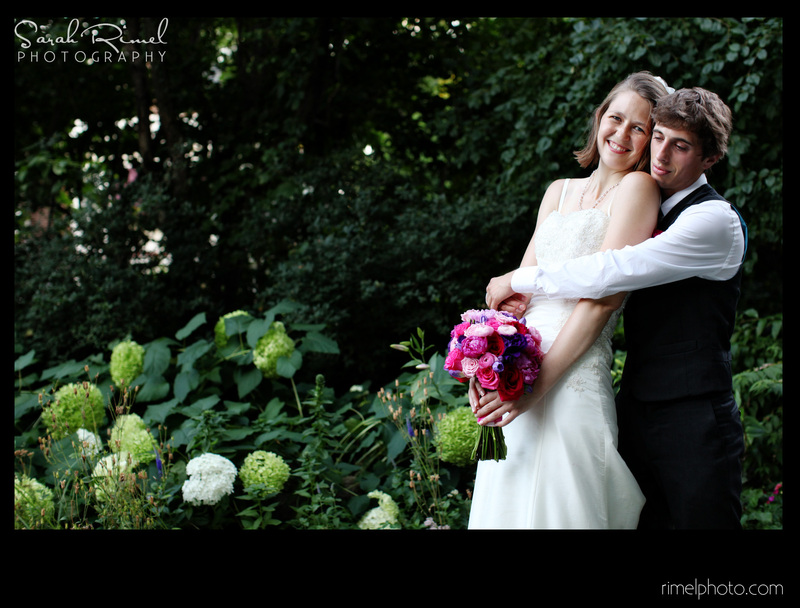 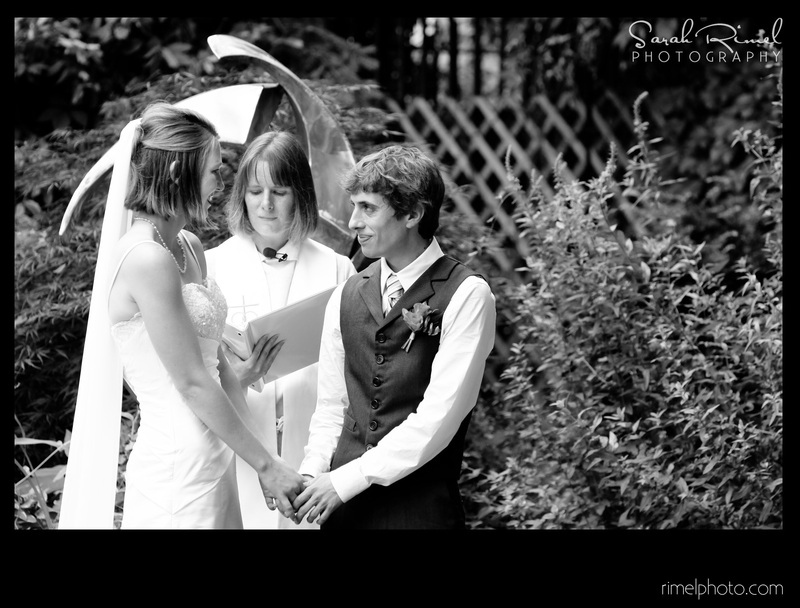 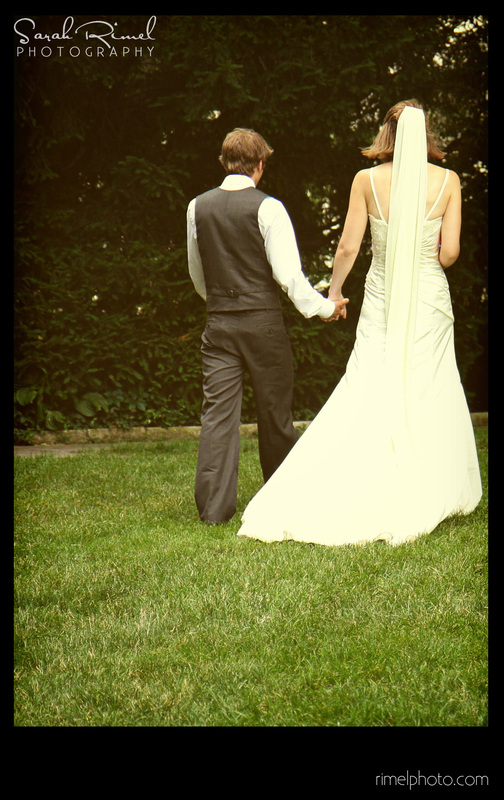 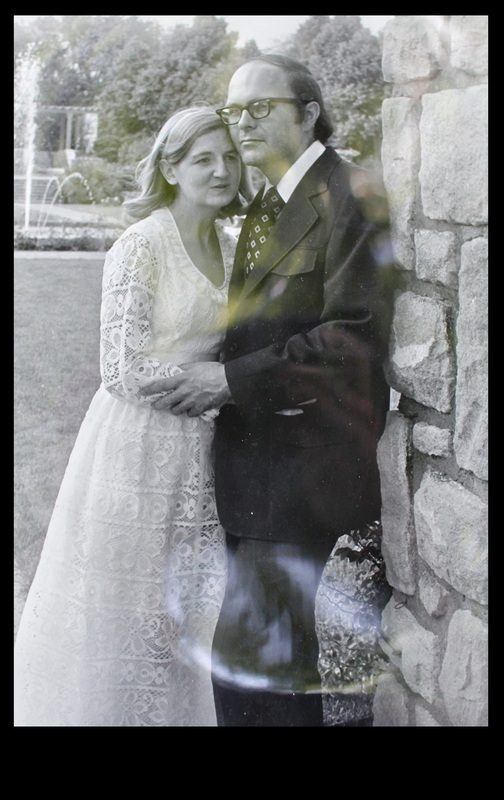 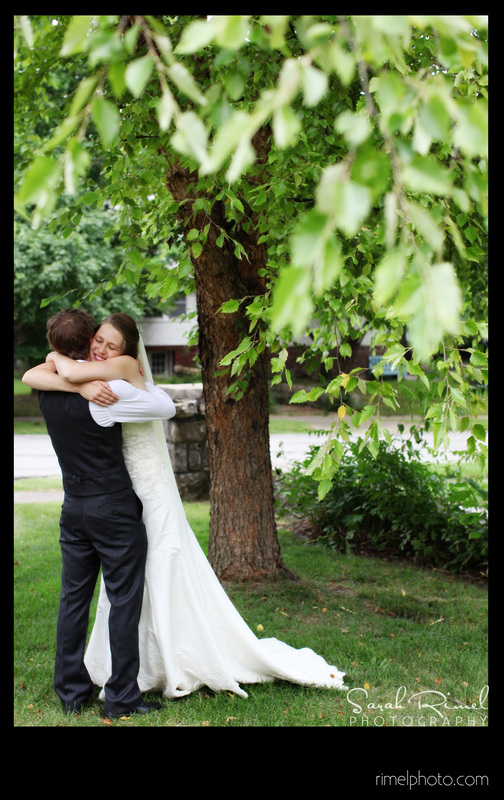 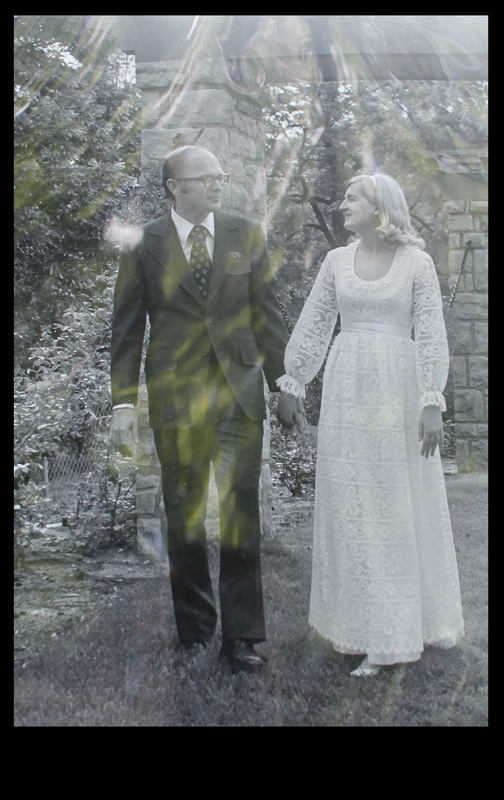 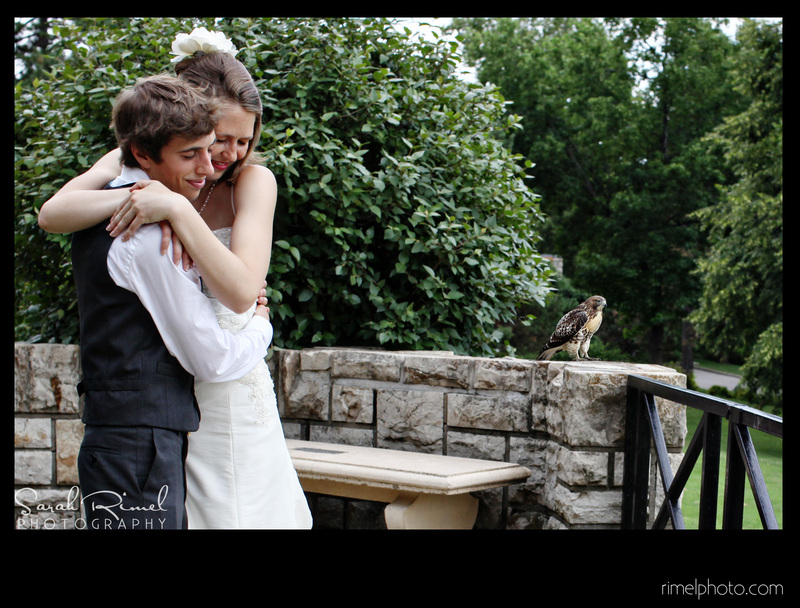 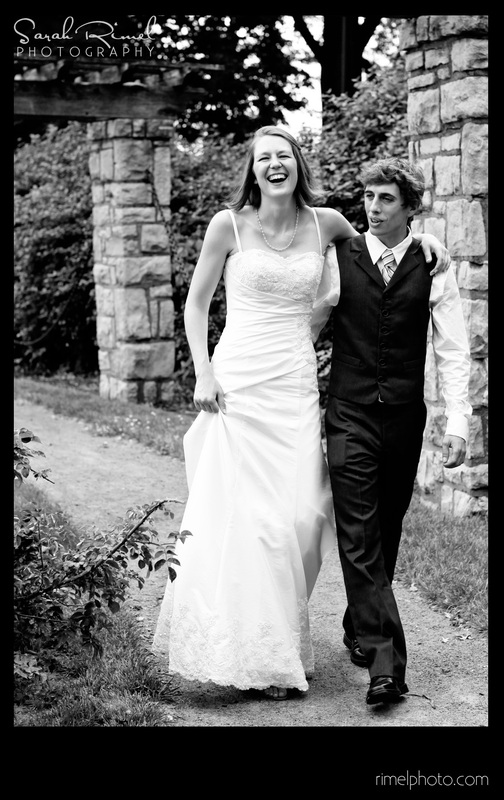 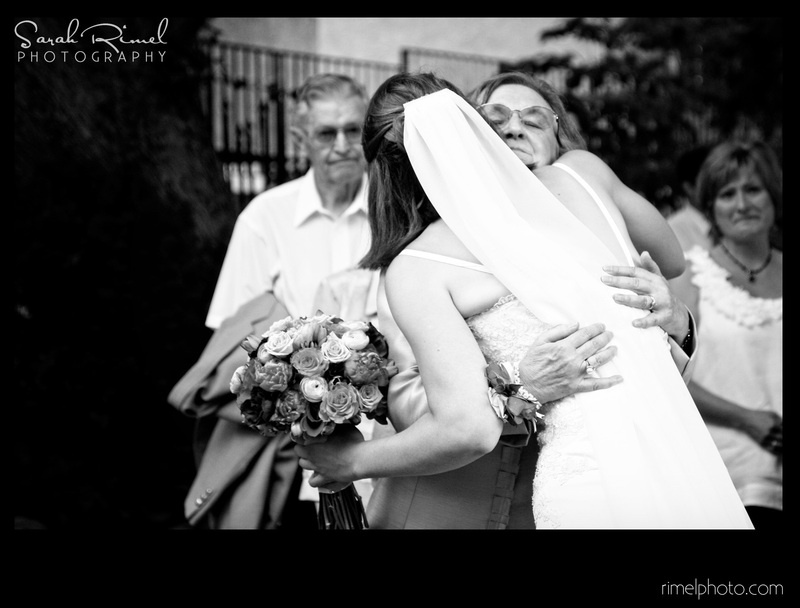 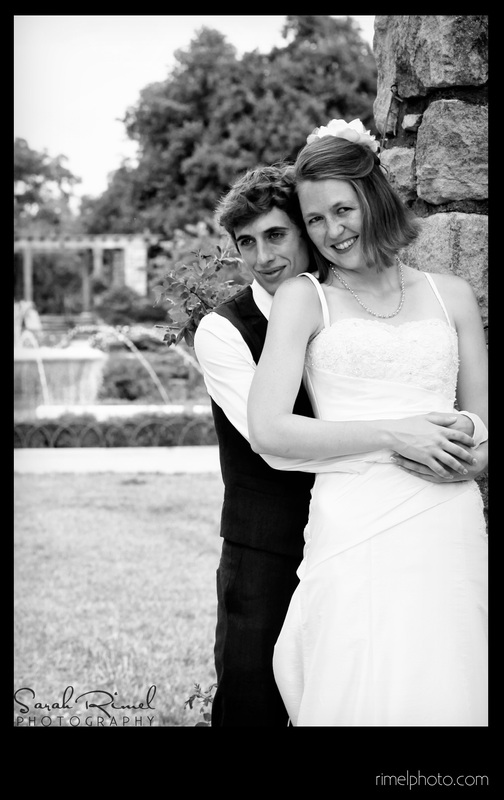 On their big day, Jeremiah met Meredith under a tree that Meredith had planted in 4th grade! 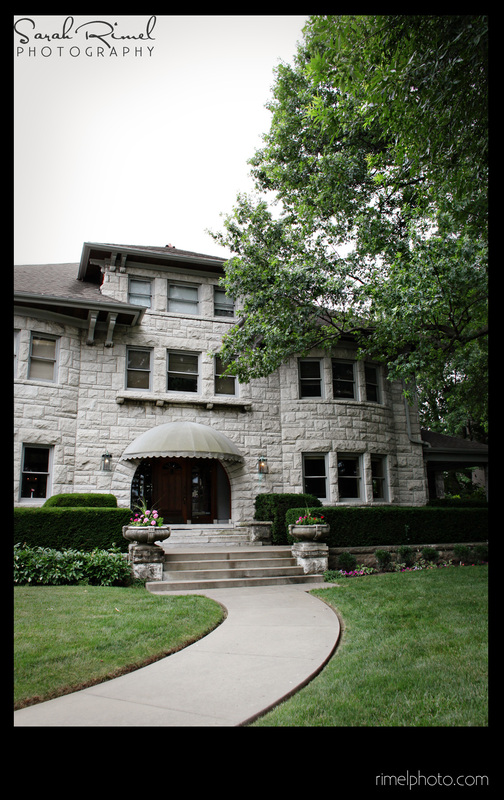 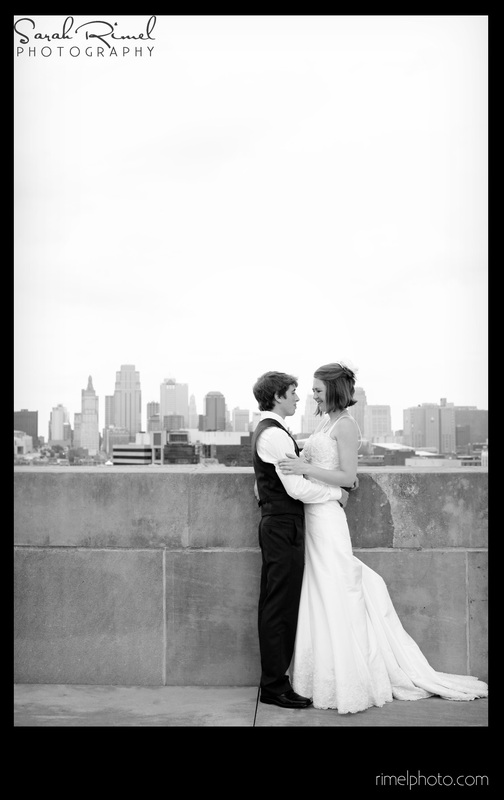 From there Sarah from Sarah Rimel Photography and the bridal party drove around Kansas City to some of both Meredith and Jeremiah’s favorite places. 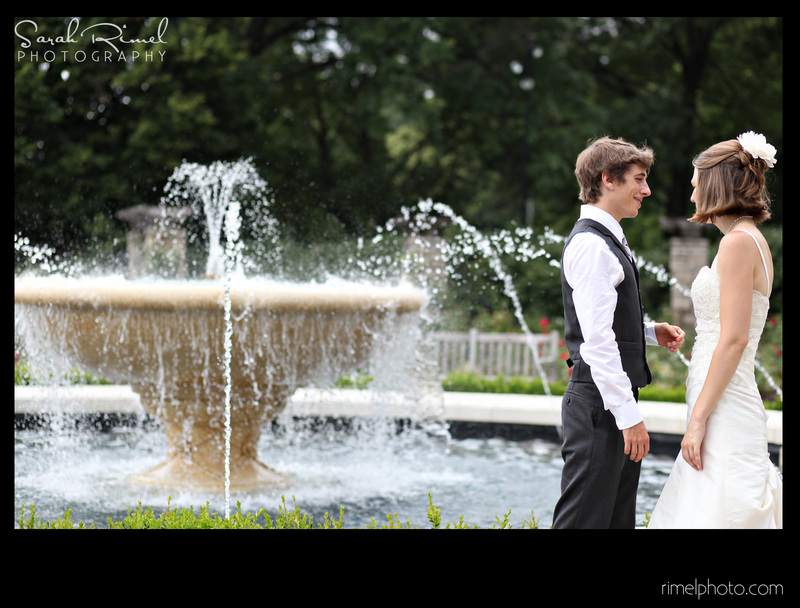 One stop that was particularly important was the rose garden at Loose Park for Meredith’s parents had their wedding pictures taken there as well 38 years ago! 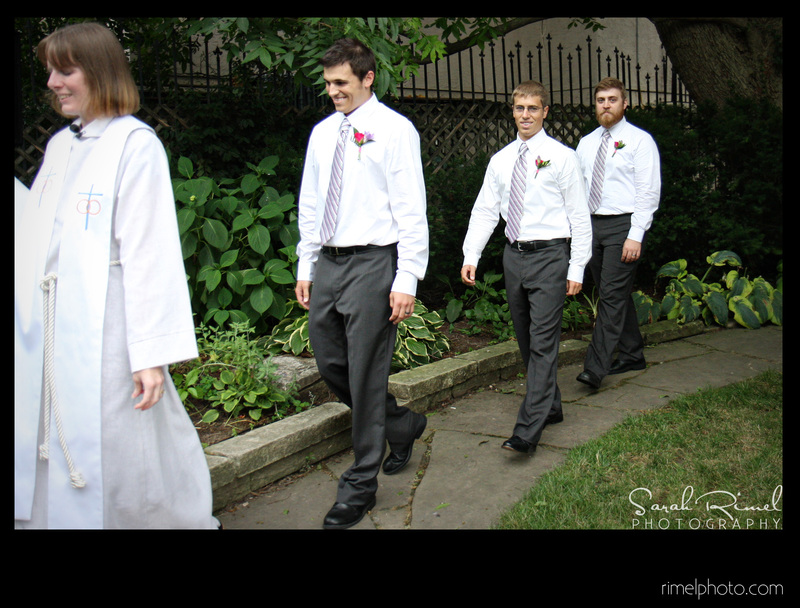 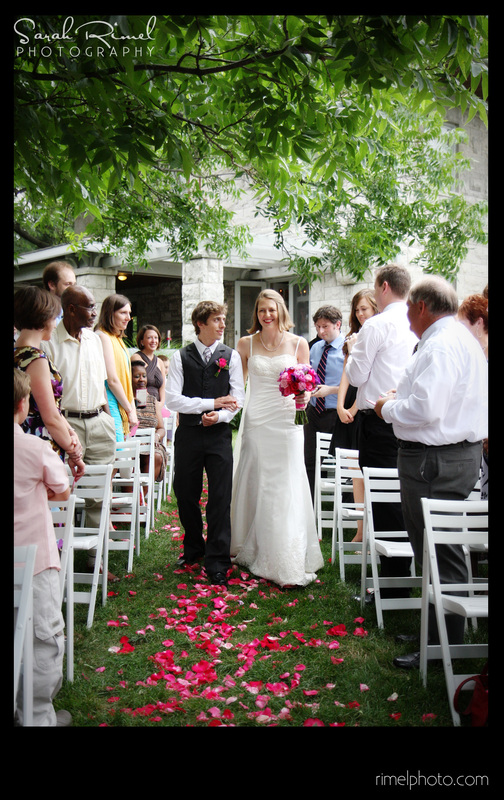 The Wedding and Reception was held at the beautiful Simpson House where guests enjoyed a wonderful outdoor ceremony and a family style dinner and reception. 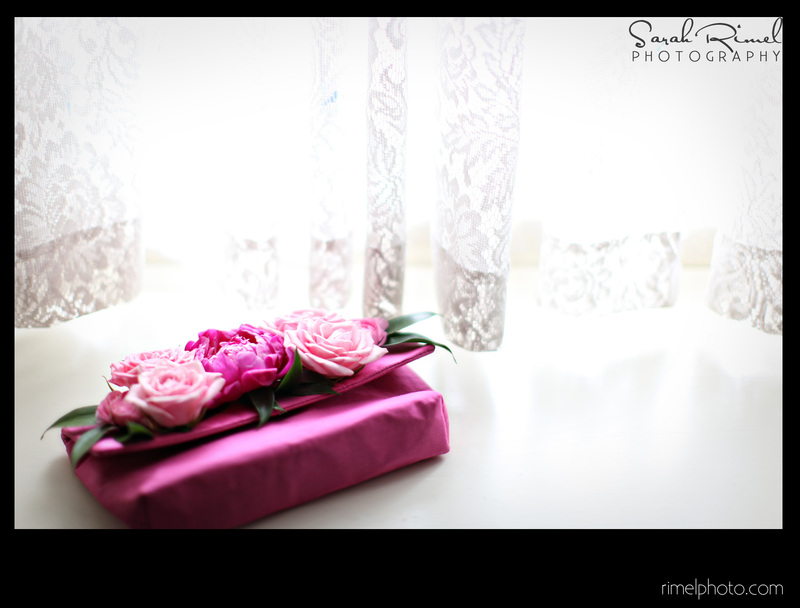 In lieu of bridesmaid bouquets we made “bridesmaid clutches” that the girls were able to carry down the aisle as well as use the rest of the night as a purse to hold their goodies in. 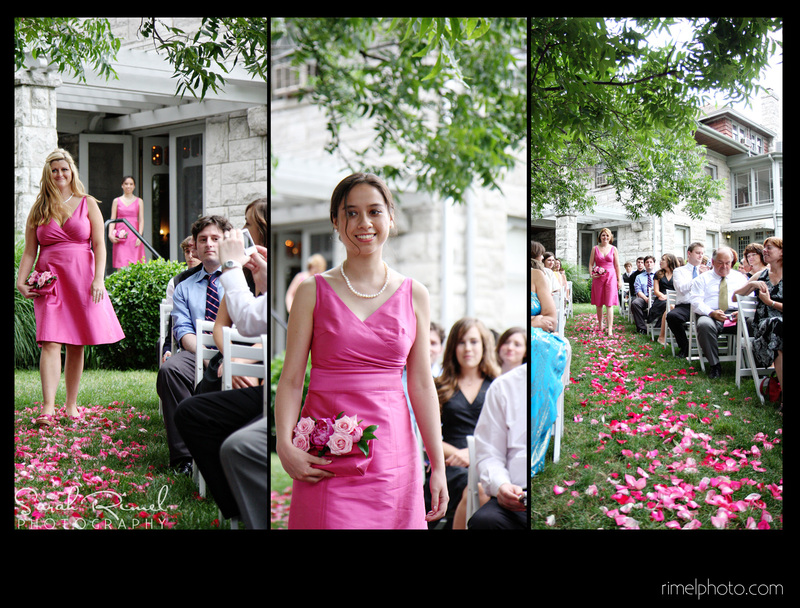 Meredith wanted the feel of the wedding to be a soft but fun garden party with pops of jewel tones. 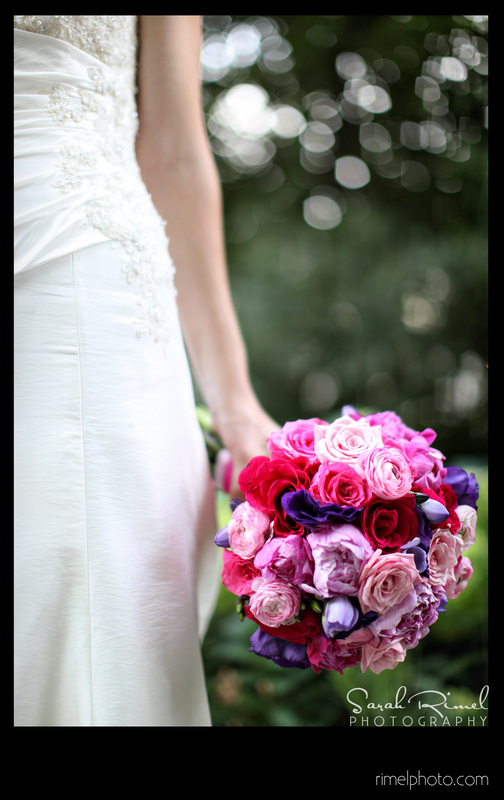 For her bouquet we used peonies, roses, ranunculus, lithianthus and freesia. 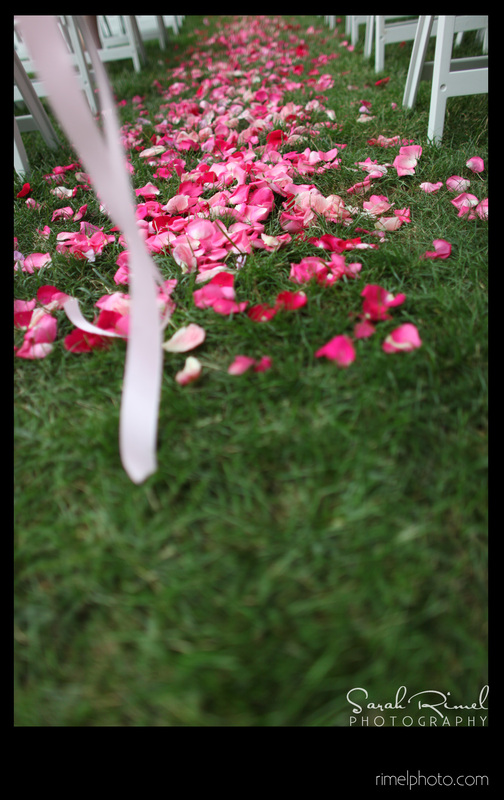 We lined the aisle with hundreds of pink rose and peony petals. 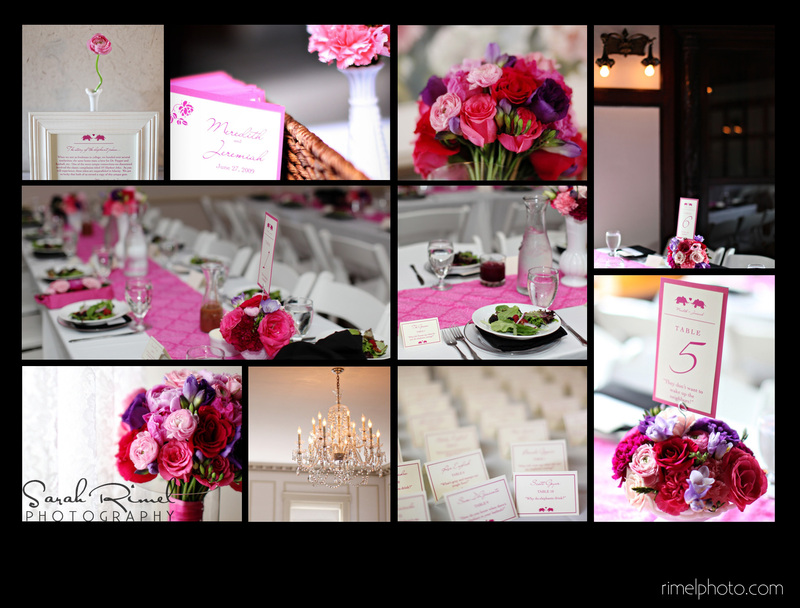 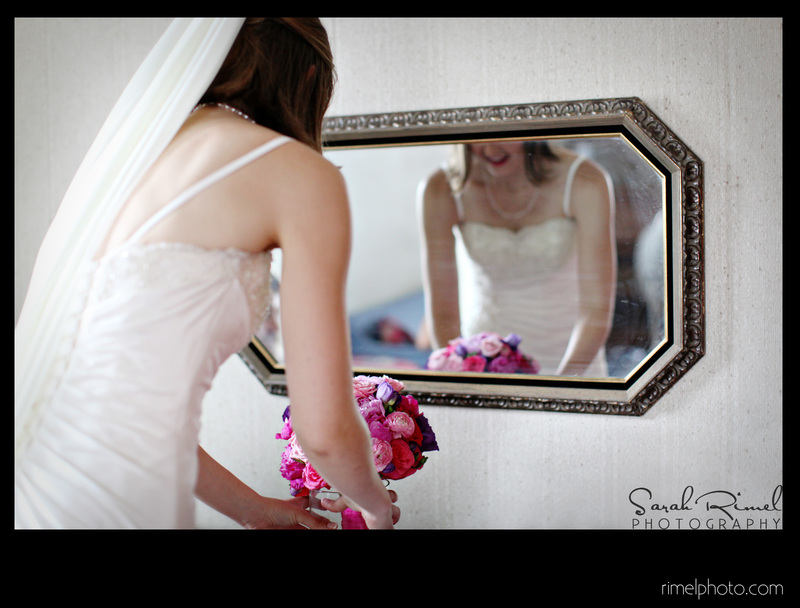 Megan from Meya Paper + Photo did an amazing job with all the paper goods for Meredith and Jeremiah’s wedding which helped tie everything together. 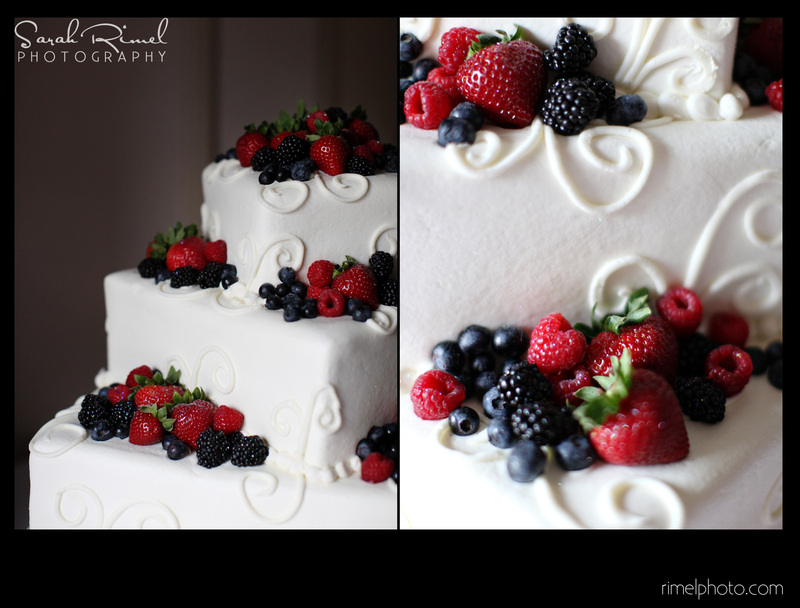 Rebekah from Rebekah Foster Cake Artist did a wonderful and delicious job with a “berry inspired” cake. 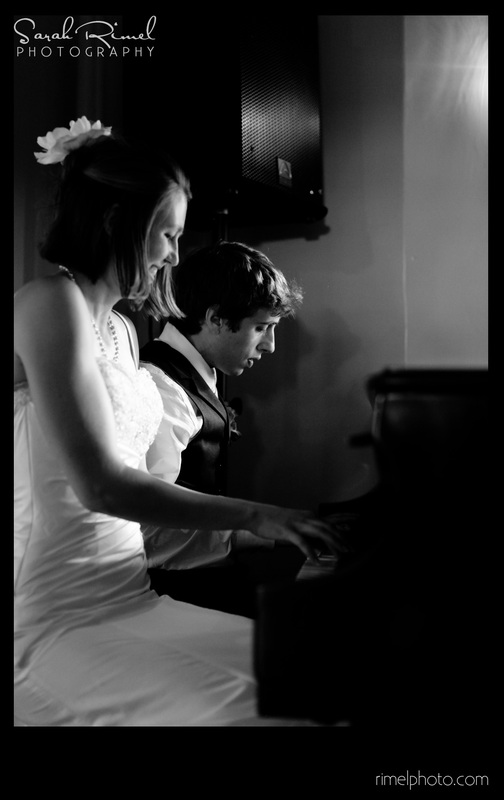 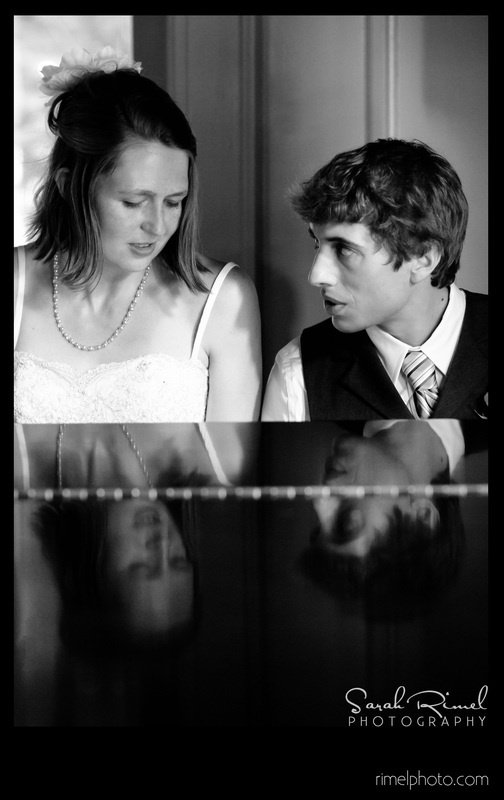 Instead of doing a traditional first dance, Meredith and Jeremiah decided to do play a duet on the piano. 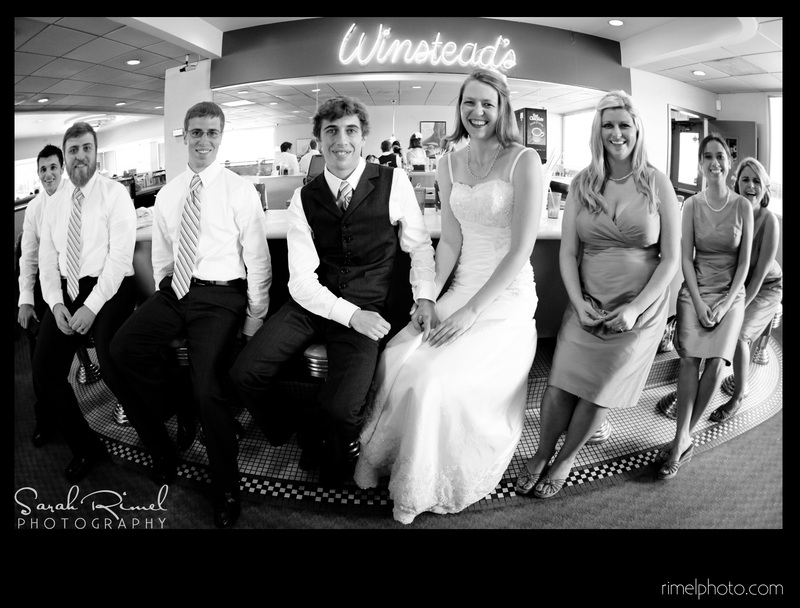 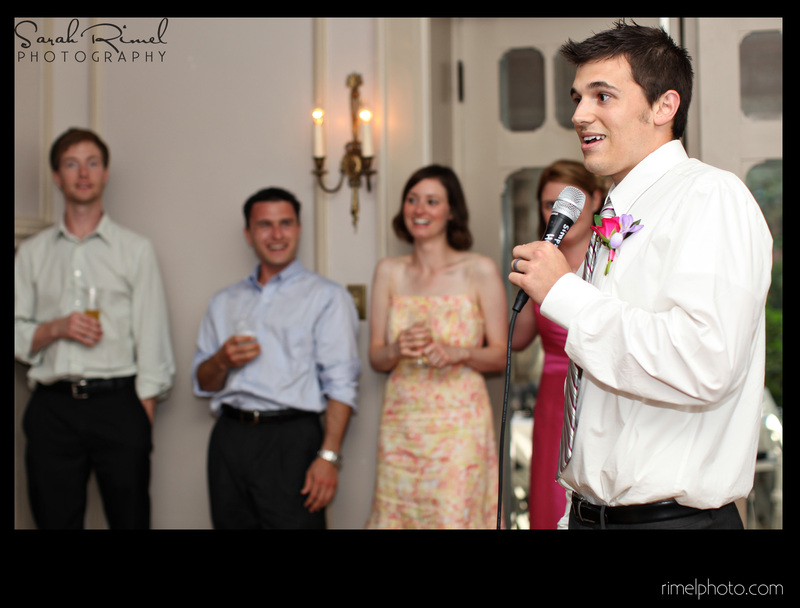 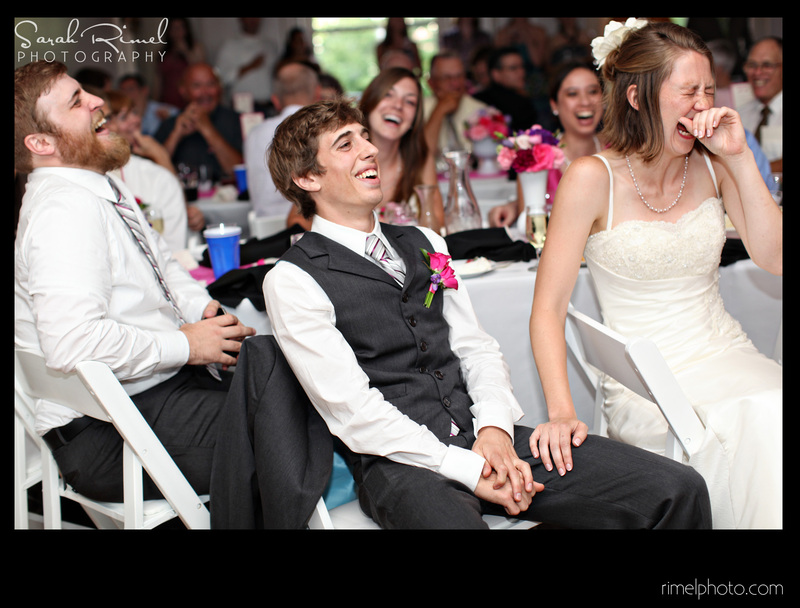 “You’re the one that I want” from Grease was played while guests chimed in and sang along….so adorable! 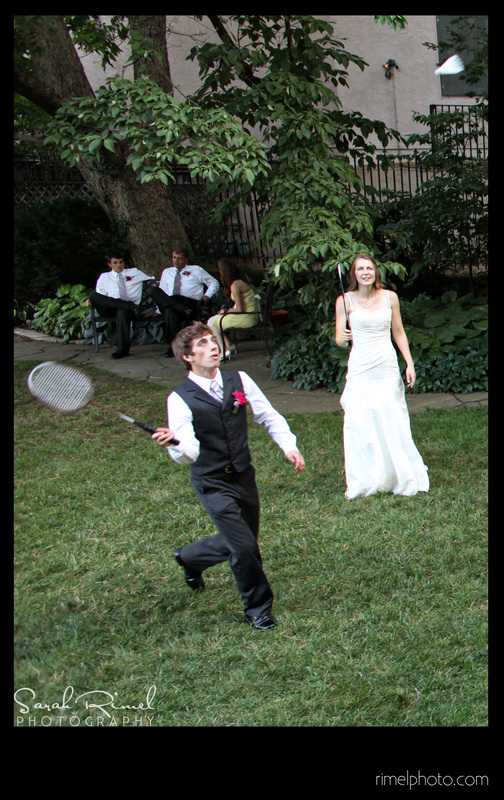 As part of the reception we also had yard games where the ceremony took place on the Simpson House’s back lawn which included badminton, bocce ball, bean bag toss and washers. 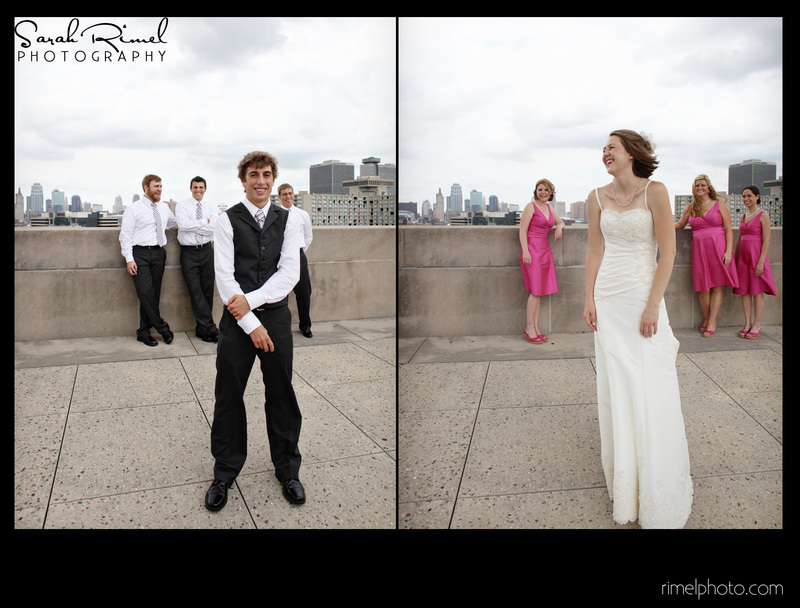 Overall the day was great with great weather, great people and an adorable couple…..Congrats again Meredith and Jeremiah both Jessica and I wish you the best and loved every minute of planning and designing your day.